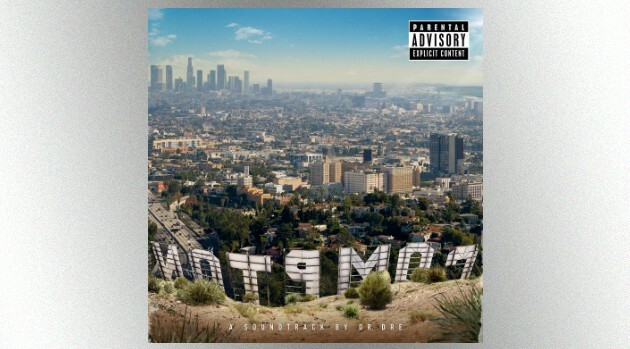 Interscope RecordsMaybe you streamed it last night online, but today’s the day Dr. Dre‘s first new album in 16 years, Compton, hits retailers. Apple music streamed the album in its entirety Thursday night from 6 to 9 p.m. PT. “The wait is over. #COMPTON out now,” Dre tweeted last night. Compton — featuring guest appearances from Eminem, Kendrik Lamarr, Snoop Dogg, Ice Cube, Jill Scott, Marsha Ambrosius and others — was inspired by the upcoming N.W.A. biopic, Straight Outta Compton, which arrives in theaters August 14. Dre, of course, was a member of the legendary rap group as part of its seminal lineup of Ice Cube, DJ Yella, MC Ren and the late Eazy-E.